Get outside, enjoy the sunshine, and bump some tunes with CandyShell Amped. 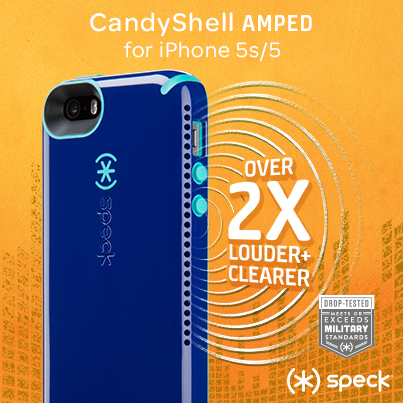 With over 2x louder and clearer sound than your naked iPhone 5/5s, you’ll be happy to have CandyShell Amped by your side. Forget about fumbling with external speakers or draining your battery- take this innovative sound amplification case with you for spontaneous sound sharing anywhere you go. We’re not the only ones who put it to the test: See what CNET has to say about CandyShell Amped.